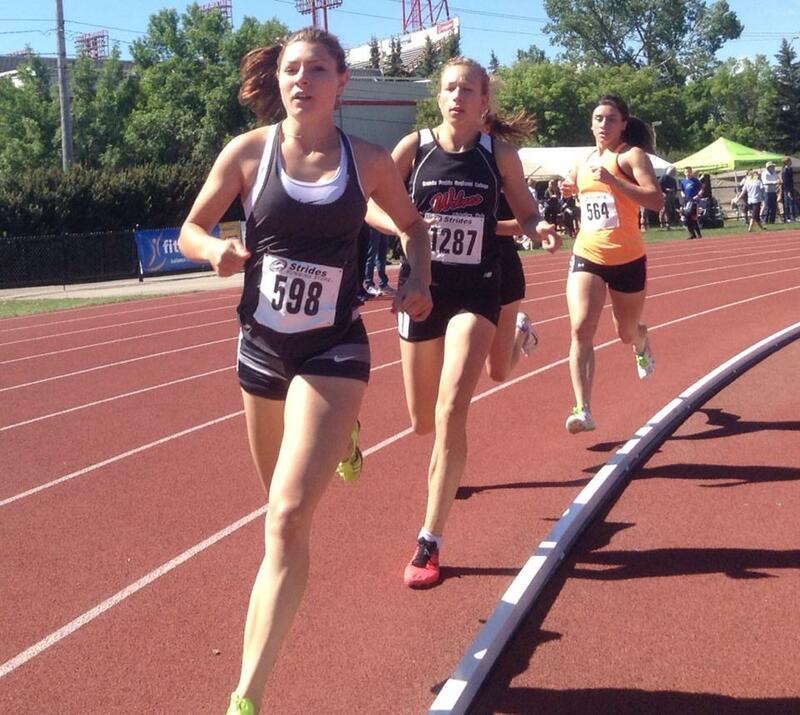 Wolves Athletics Club runner Jamie Wigmore finished second in the Senior Women’s race and established a new personal best time of 2:12.16 for 800m on Sunday at the CALTAF Classic Track Meet in Calgary. The mark currently ranks her as #50 on the 2015 Canadian list for the Women’s 800m. Former Wolves runner Fiona Benson, now running for the Langley Mustangs, occupies the #1 position on the National 800m list. Wigmore also contested the 1500m on Saturday, placing 5th in a time of 4:43.93. Martens currently is ranked #1 in the country in the Junior Women’s 3000m and #4 in the 5000m. Full meet results are posted here. This entry was posted in Outdoor Track and Field and tagged Athletics Alberta, Athletics Canada, GPRC Wolves X-C Running, Grande Prairie, Hayden Hollowell, Jamie Wigmore, mirelle martens, Track and Field, Wolves Athletics Club. Bookmark the permalink.